Idool 2011 will not only be remembered as the talent show that with “More To Me” had the best group single ever. Its refocus on looking for proper popstars -this is the “Idol” franchise after all- left us with a young, fresh-faced top 10. Gone were the days when finalists would be pregnant mums or classical singers, this lot was ready to take over the charts! And indeed, an impressive number of contestants went on to make an impression on the Belgian music scene. Winner Kevin and runner-up Kato‘s debut albums both went gold, Dennis and Kristof had the innovative idea to release a double album together with each filling up one disc and Alyssa has just unleashed her first pop stomper. Rocker Izzy didn’t make it out of bootcamp but has been working with his band Epic Lane ever since and gay-teenager-who-likes-to-wear-heels Falko, who stranded in the final 15, is said to release his Kylie inspired debut single any time now. Even those who didn’t get a record deal are still doing music. Manuel has enrolled in music school, Astrid got through to the battle rounds in The Voice and Jonas & Lora have teamed up as cover band The Pony Express. Finally, let me present you one more addition to the list! Maureen Vanherberghen was the curly-haired girl who made an impression with her “Rolling In The Deep” rendition. The former girl scout (well, it’s called “chiro” here) was one of the most consistent singers in the competition and ended up finishing fourth. 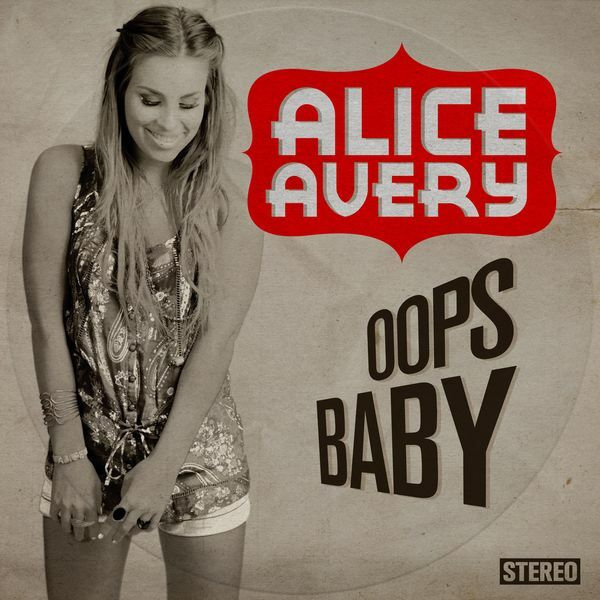 After the show she went on to record a translated cover of James Blunt’s “Stay The Night”, which served as the new theme tune to Belgium’s longest running soap opera, Familie. Now, 2012 finally sees the release of Maureen’s own material! 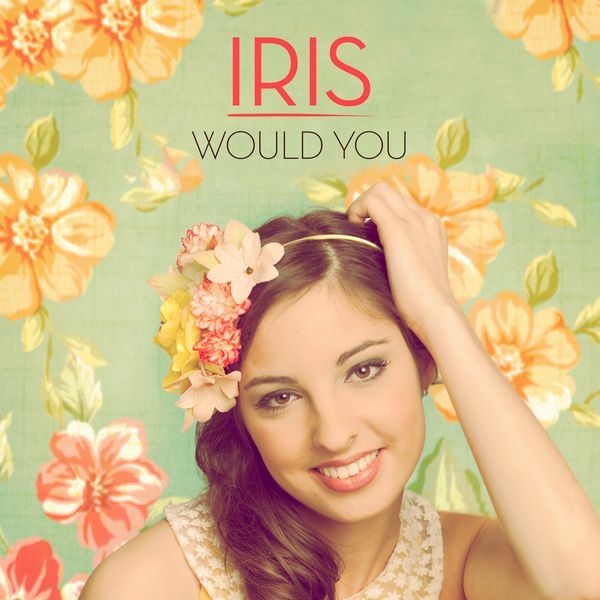 She has signed to brand new up and coming label Pop’m who will be guiding her towards an Eliza Doolittle and Joss Stone inspired sound. Her debut single “Everyday Thing” already sounds like a firm step in the right direction! The cheerful track was written by songwriting team Chicks With Hits, previously responsible for “The Joker” by Maureen’s Idool friend Kato. There’s no sign of “Everyday Thing” on YouTube or Spotify yet, but Maureen has put it up on her official website’s player! You can check out the full song over on www.maureen-music.be! It’s sure to get you tapping your feet in no time! 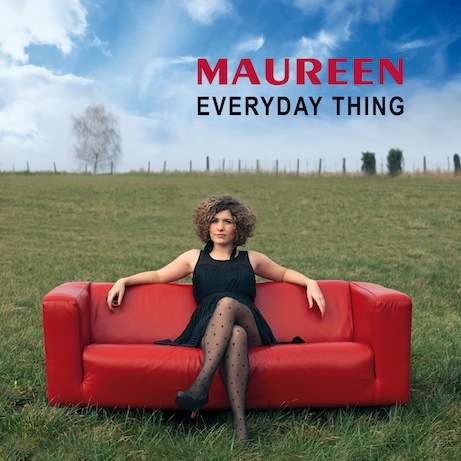 “Everyday Thing” by Maureen is available on Spotify and iTunes. “More To Me” by Idool 2011 is available on Spotify and iTunes. “Get On Your Feet” by Alissa is available on Spotify and iTunes. The Idool 2011 album is available on Spotify and iTunes. Kevin’s album “Thank You” is available on Spotify and iTunes. Kato’s album “Flamingo” is available on Spotify and iTunes. Dennis’s album is available on Spotify and iTunes. Kristof De Cleyn’s album is available on Spotify and iTunes. Epic Lane’s EP “Born In The Eighties” is available on Spotify and iTunes. The people at SonicAngel have been busy! Axeela finally released her second single with Maurice Engelen’s record label. Back in May of last year Axeela got herself noticed at Tom Dice’s album launch and a couple of months later the Junior Eurovision alum had her very own single out. I got a chance to talk to her then about ‘What Do You Want From Me?‘, what the future has in store for this young popstar and how Christina isn’t copying Gaga. The best thing about ‘Hump Hump’, Axeela’s new song, is having the anthemic chorus blast out of your speakers. In it she tells us: “I’m a saint and a sinner, a virgin and a stripper, dangerous like the Jack Ripper…” That about covers it all, no? Right before that first chorus Axeela tells us “Let me introduce myself” and to have as many people possible hear her introduction, ‘Hump Hump’ can not only be heard on www.axeela.com, it’s available as a free legal download there as well! From one child star on to another. If you’ve seen the excellent JESC documentary ‘Sounds Like Teen Spirit’ you may be familiar with Bab. She may have missed out on going to the 2007 international final in Rotterdam, but her ‘Laat Mij Gerust‘ became a tween favourite. A couple of singles followed and eventually an album was given away with a magazine. It’s a shame more people didn’t get to hear it as second single ‘Zo Is Er Maar Één‘ was far from the only rockin’ pop tune on there. Having outgrown the tween rock, Bab is now signed to SonicAngel and has settled herself nicely into the singer/songwriter niche. 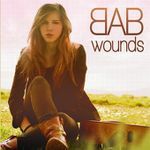 ‘Wounds‘ is her first single through her new label and her first in English. I’m in two minds about this one. On the one hand it’s a gorgeous laid back track, but it doesn’t scream ‘big comeback single’ to me. And why is it called ‘Wounds‘? That title doesn’t really trigger any specific bit of the song when thinking of it. I guess I just expected a little more instant-ness. That being said, I’m curious to hear what else Bab and SonicAngel come up with together! Continuing our theme of talent show acts, I’ve been meaning for ages to write an update on Simon Sins. Since we last talked about the Wannasing? winner he got signed, but has already left the SonicAngel family again. Let’s hope we somehow get to hear some new music from him soon anyway! In Simon’s place have come a whole bunch of new signings, including Rodwan Belkaïd and Koko Moon (aka Karim Lequenne). Between the addition of these two and already having Tom Dice, Alice Avery and Mathieu & Guillaume on their roster, it would seem that SonicAngel have nearly every X Factor 2008 contestant signed up! There’s one more popstar you should already be familiar with that has reinvented herself and is trying her luck through this label, but I’ll be giving her a special post of her own. Be sure to watch out for that sometime soon on Charley says POP! Right, that about concludes this update on SonicAngel. I’ll be leaving you with the very first Airis video. Laura Van Den Bruel, as she’s known in everyday life, sang her way to a record contract in teen magazine Joepie’s Talent Booth competition. Her YouTube rendition of Celine Dion’ ‘I’m Alive’ won her the chance to record ‘Wonderful‘, the song that should make her Belgium’s very own Taylor Swift. Because every self respecting tv channel needs its own talent show, TMF launched Wanna Sing? in 2007. The Flemish music channel used the same concept as it did for Rate The Video and Rate The VJ. While each contestant does their bit, viewers get to text in their comments and a score from 0 to 10. The person with the highest average score gets to progress. The show attracted some familiar faces like Popstars and Eurosong 2008 contestant Kenza. Also taking part was Miss Belgian Beauty finalist Tamara Opdebeeck, who was already recording as Noa Neal and went on the be the runner-up in ‘K2 Zoekt K3’ in 2009. However, there can only be one winner and for Wanna Sing? that was Simon Sinnaeve. The West-Flemish boy won a performance at the TMF Awards and got to release ‘Your Eyes‘. Simon Sinnaeve, popstar and Belgium’s first national beerpong champion. While the song isn’t particularly spectacular, I do love this pop/rock-ish tune. It’s refreshing to have a winner’s single that sounds current enough, fits the singer well and has a lovely looking video. Three points not many Belgian talent show debuts manage to tick off! Wanna Sing? being on a small channel may not have stopped the product from being a bit amazing, but it did mean few people got to know about Simon’s music career. ‘Your Eyes‘ unfortunately never made it out of the Bubbling Under chart. 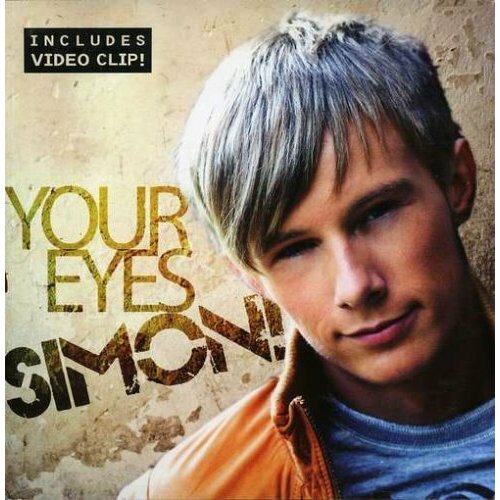 With no plans for a second single at Universal, Simon took to MySpace profiles and various YouTube accounts to have his voice be heard. An overview of his many projects can be found here on what I’m assuming is his personal MySpace. Earlier this year he uploaded a video onto the SonicAngel and Joepie Talent Booth site. 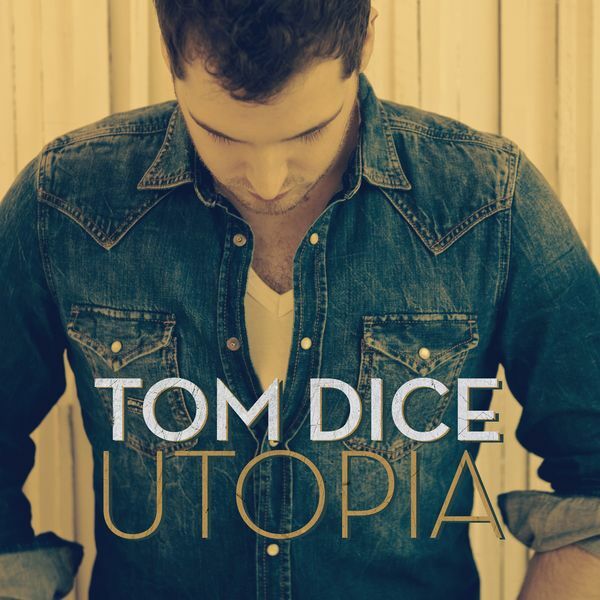 A girl by the name of Laura van den Bruel beat him to the top spot of the competition, but does this video shot at the SonicAngel studios indicate that Tom Dice’s label has a spot ready for Simon? We may still be waiting for news on his music, but Simon was in the papers just a couple of days ago! What for? He hosted and won the very first Belgian beerpong championship. That was a bit random. A while ago I introduced you to Axeela, a promising new popstar from Belgium. Since then, she’s released her debut single ‘What Do You Want From Me?‘, premiered the video for it and started her conquest of the Belgian pop scene. It’s good to finally hear the studio version of the song and rest assured, the “Aw Aw, Aw Aw…” bits in the intro still sound amazing! I recently got to talk to this young singer. After the jump you’ll find our conversation where we discussed her new single, being on the hottest new label, her Eurovision history and how Christina Aguilera did the Lady Gaga thing first! Dutch: Ook voor de originele Nederlandstalige versie van het interview kan je doorklikken!